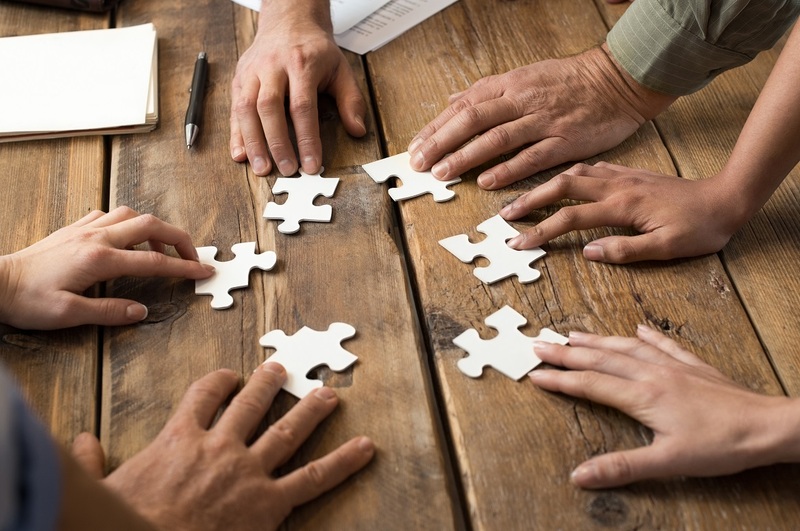 Responsible lending takes a giant step forward in Finland when several banks join the inquiry system maintained by Asiakastieto Group. Aktia Bank Plc, Bonum Bank Plc (central credit institution of POP Banks) and nearly 40 companies granting consumer credits are already participants in the system. Now, also Nordea Rahoitus Suomi Oy, Danske Bank A/S, Finland Branch and Danske Finance Oy are joining in. ”Our common goal is to strengthen responsible lending, which includes carefully looking into the credit applicant’s payment ability. In addition to income and payment default information, also positive credit information, i.e. the applicant’s other loans, among others, have to be found out. This information will be available in a very comprehensive manner in the future, when also banks join in the sharing of this information. It will be easy to later develop the system to cover also housing loans in addition to consumer credits”, says Jukka Ruuska, the CEO of Asiakastieto Group. The significance of positive credit information grows both in Finland and internationally. Positive credit information is in use in almost all European countries – either through a centralised register or a decentralised data sharing system; for example, in Great Britain, the credit grantors have a statutory obligation to test the applicant’s payment ability. 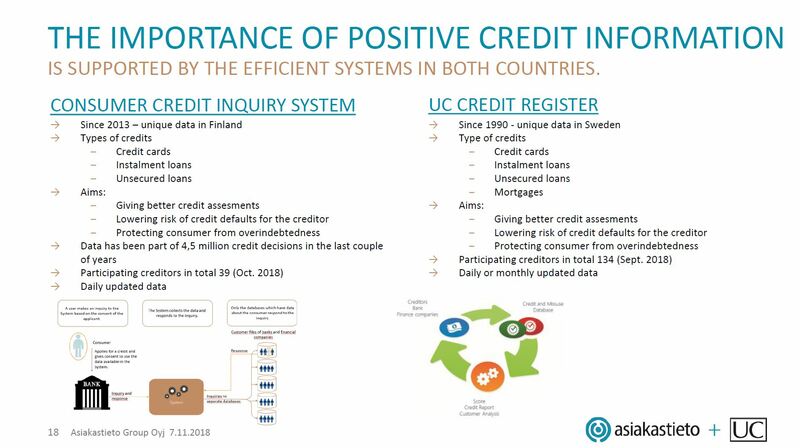 UC Ab, which is part of Asiakastieto Group, has maintained a register of positive data in Sweden already since 1990, and the experiences of its use are good. At the same time as the number of persons with payment defaults has kept on increasing in Finland, the trend in Sweden has been the opposite – the number of persons with payment defaults has decreased. ”An inquiry system based on the real-time sharing of information has proven to be very functional in the Finnish market, the objective of the system being to offer the same information as is available from the registers in the other countries. Benefits of this model are, for example, stronger data security due to decentralisation and that only information on persons who have specifically given their consent is shared in the system. There is thus a strong mydata view here”, Jukka Ruuska comments.